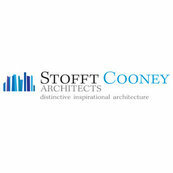 For over twenty years Tischler und Sohn (USA) Ltd. has been providing windows and doors to Stofft Cooney Architects both in the USA and the Caribbean Basin. This firm has the ability to create bespoke homes from the truly modern to the most traditional residential designs; and everything in between. While our firm is mainly concerned with the quality, beauty, and reliability of the exterior fenestration of the estate; the interior living spaces do come greatly into consideration. Great attention is given by their design teams to sound attenuation, security, and energy conservation. Their living spaces always feel well balanced, without wasted decoration or embellishment. On the exterior, the porches are always large enough to serve a purpose, with a grand but "un-fussy" feeling. The technical details of the engineering spaces in their estate homes resemble a large motor yacht's engine room in design and usefulness. It's been no surprise that the firm continues to grow by leaps and bounds. Thank you for your kind words. We have enjoyed working with you and your great team over at Kurtz Homes for many years.